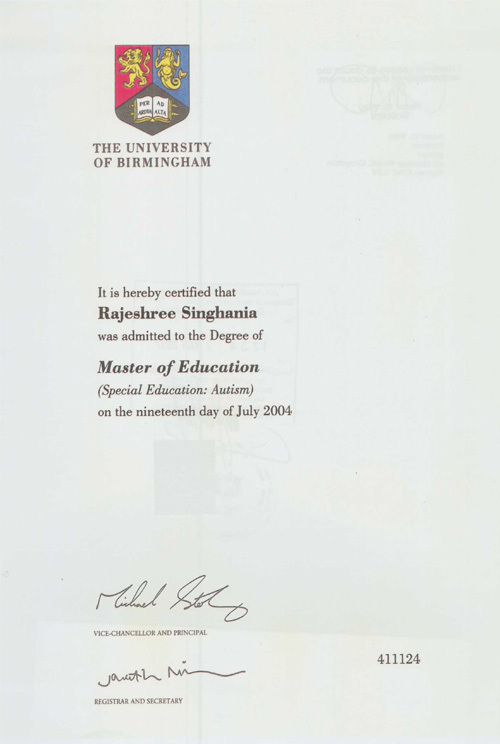 Signs of autism in children Dubai: MEd is Masters Degree in Education and I obtained that from Birmingham University in the UK. I chose Autism as much of the treatment for this condition was not medical AT THAT TIME. Now we know better and I do the biomedical intervention for this condition. I did this degree part time and it took me 4 years as I was working in Dubai by then.